Prime Minister Najib Razak has one of the most “likes” as well as “followers” on Facebook in Malaysia. To-date his Facebook page has gathered almost 2.8 million likes, which is way more than any other Malaysian politician, such as former Prime Minister Tun Dr Mahathir Mohamad who stands at 2.4 million. PM Najib, who also claims that he is an avid user of social media, can also be seen actively updating his Twitter and Instagram account. Like most Facebook marketing techniques, his social media page is usually filled with positive stuff. For example, the Facebook post below shows PM Najib with two boys wearing new clothes sponsored by the 1M4U movement. Although these posts have attracted around 13,000 likes and numerous favourites and retweets, if you take a look at the comments section, they were largely negative and were mostly regarding the high cost of living, petrol price hikes, the Najib-1MDB scandal. 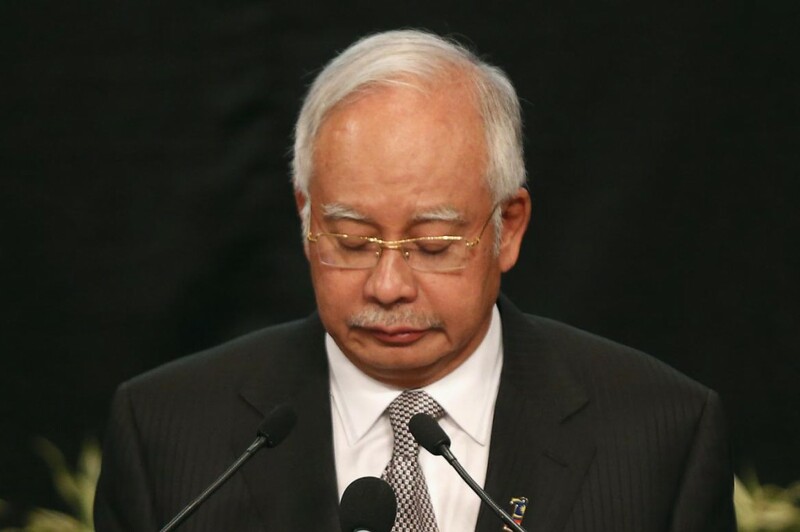 “Uncle Najib I want to ask you, why is the petrol price increasing? Have you not taken enough illegal money for your meals?” commented Facebook user Fazliy Fazliy Rahman Rahman. Another user Haji Duan said, “We, the Malaysians, hoping that you will pass away.” These are just some of the many hate messages that he receives. In this case, PM Najib’s social presence is a good example to show that even if you have a big following and high number of likes on social media, that doesn’t mean that you’re actually favourable. With all these rumours regarding PM Najib, and all these social media scorns consisting of keyboard warriors and people who conduct cyber bullying, of course he is “depressed”! At the end of the day, PM Najib is just like the rest of us. After all we are all human beings, standing on the same ground, breathing the same air. Regardless of how powerful or wealthy you are, there will always be someone, or something that could bring you down. Language is powerful. Hate comments could affect how we look at ourselves, these new forms of bullying are much harsher and more severe than the childhood teasing. In present society, we’re somehow defined by a culture of likes, tweets and favourites. Like it or not, human beings are weak at the end of the day. Our mind are easily fooled into the mindset of seeking approval from other people. For example, if you were to do a good deed and post it on social media, and all you get is harsh and mean comments, wouldn’t you feel sad and unappreciated? If you are one of those who would fall for hate comments and end up feeling self-critical, then you should realise that you depend too much on validation from others. We should be happy that we have done something good, and not based on what others think of us on the comment section. Confidence (not arrogance, mind you) is the key to be mentally strong and that quality is what everyone should strive for. There’s no way we can completely erase hate comments and negativity, but at least if you believe in yourself, that would shape positivity and healthy self impressions. Although that can be hard to achieve, but in the long run it is worth it.